From “Soap,” by Francis Ponge, in our Summer 1968 issue. Ponge, a French poet and essayist born on this day in 1899, believed that “a mind in search of ideas should first stock up on appearances.” “Soap” is an excerpt from his Le Savon. There is so much to say about soap. Precisely everything that it tells about itself until the complete disappearance, the exhaustion of the subject. This is just the object suited to me. Soap has much to say. May it say it with volubility, enthusiasm. When it has finished saying it, it no longer is. Soap was made by man for his body’s use, yet it does not willingly attend him. This inert stone is nearly as hard to hold as a fish. See it slip from me and like a frog dive into the basin again … emitting also at its own expense a blue cloud of evanescence, of confusion. There is nothing in nature comparable to soap. No stone is so modest nor, at the same time, so magnificent. To be frank, there is something adorable about its personality. Its behavior is inimitable. It begins with perfect reserve. 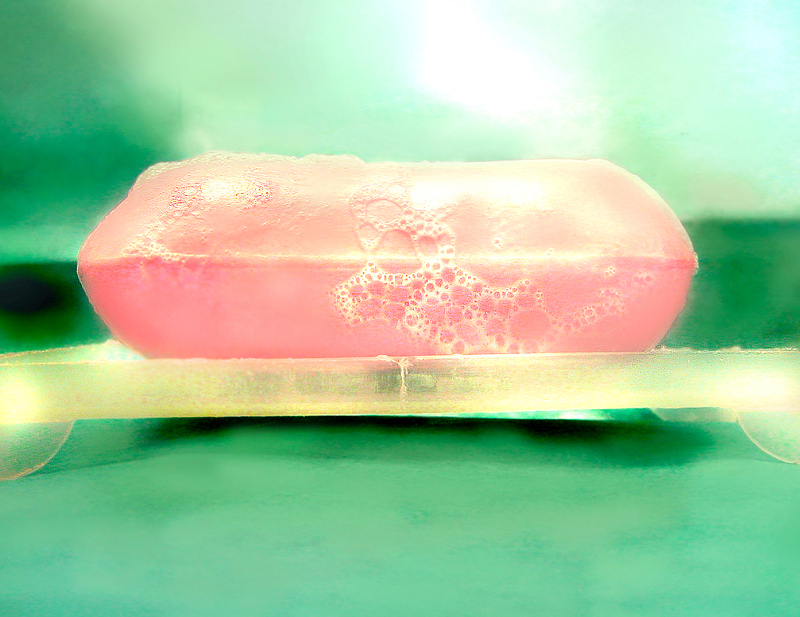 Soap displays at first perfect self-control, though more or less discreetly scented. Then, as soon as one occupies oneself with it, I won’t say fire, of course, but what magnificent élan! What utter enthusiasm in the gift of itself! What generosity! What volubility, almost inexhaustible, unimaginable! One may, besides, soon be done with it, yet this adventure, this brief encounter leaves you—this is what it is sublime—with hands as clean as you’ve ever had. Because of this object’s qualities I must expatiate a little, make it froth before your eyes. Violent desire to wash one’s hands. Dear reader, I suppose that you sometimes want to wash your hands? For your intellectual toilet, reader, here is a text on soap. with water. Such is the gown of its marriage with water. … Yet it is necessary to return it to its saucer, to its strict appearance, its austere oval, its dry patience, and its power to serve again. Translated from French by Lane Dunlop.